Spent a long time fishing for new ROM dumps; results incoming. So you probably noticed the blog was idle for a while. Like, a long while. I apologize if I burdened anyone with this. ChronoMoogle has convinced me to try writing articles up for here again. The most notable thing he told me is that no one who checked the blog pays attention to my livestreams, (other than SmashManiac. Thank you, SmashManiac.) so it turned out I unintentionally split my communities up. Guess I better work on integrating them better! They may not be as much of a regular pace as before, or as big as before. 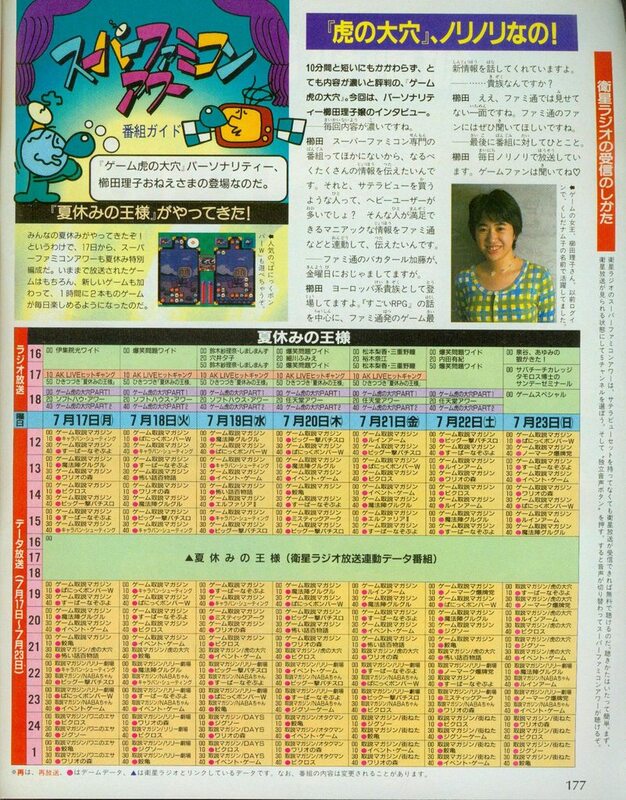 But this should still be the place to download new Satellaview ROM dumps when they arise. Last year had a bit of a slow trickle of dumps for a while before there was a sudden, well, bit of a megaton. Anyway, for the time being I will try trickling down dumps from the latest batch provided by ChronoMoogle, ikari_01 and Yankee. Let’s start with this one, just for pun! This quirky fishing RPG appears to be the same as the retail version of the game. Which actually threw me off considering the title screen has some unorthodox interactivity. I’m not entirely sure what else to say about this one. It’s a bit weird and gets tough as you progress further in. It also requires a good bit of patience, just like real fishing. 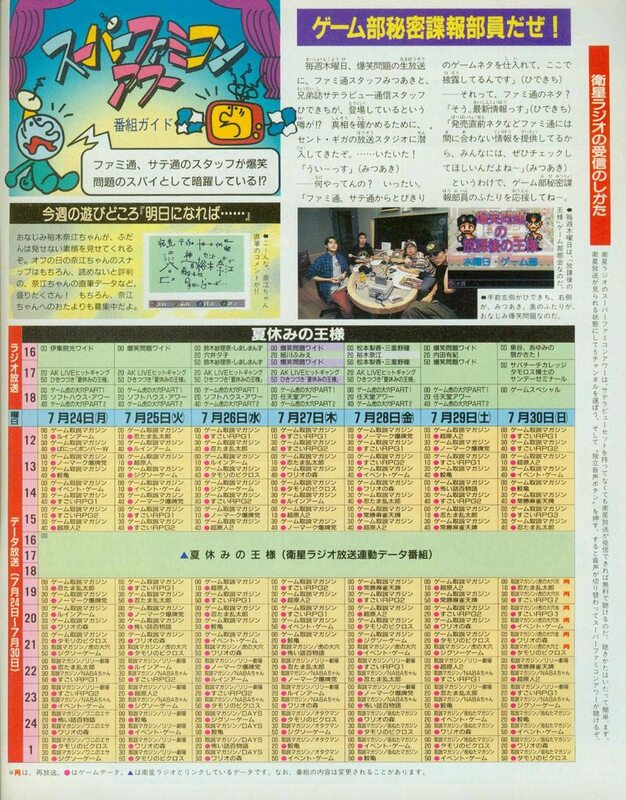 よし！　Let’s dig into it! ChronoMoogle speaking! Ok, so we just got a unbelievable big load of awesome scans! Where should we start to analyse them? No idea. Yay! 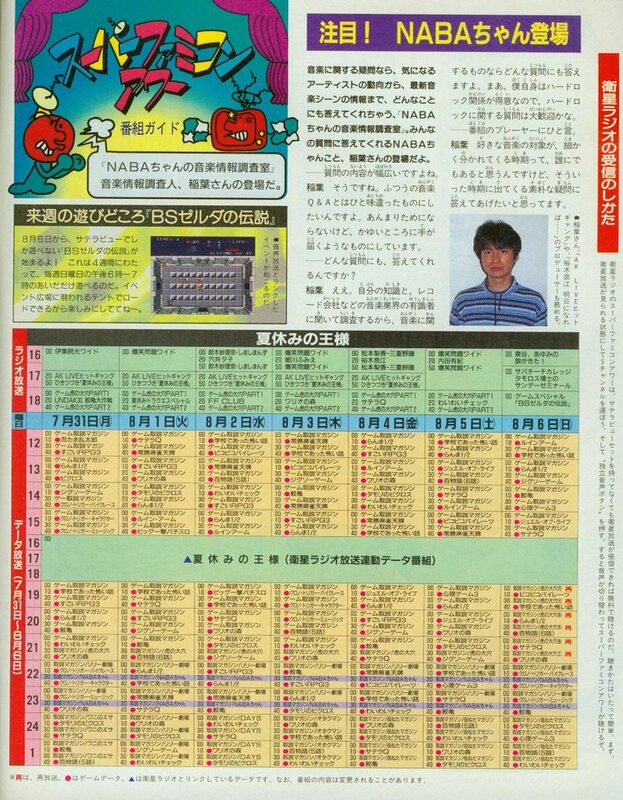 So whatever, I decided to just start somewhere… And my random choice was the broadcast schedule of 17-21. of July 1995 and we will probably go on with the schedules until my japanese got better or bluesun or somebody else is willing to summarise some more detailed articles for us.